Dentures not only restore your smile, but they also restore chewing function and help support your facial structure. Patients of all ages in the Seattle area turn to Greenwood Smile Dental and the expertise of Hailun Wu, DMD, for full and partial dentures. Dr. Wu and her caring, knowledgeable team are skilled at fitting you with custom dentures and individual tooth replacements so you can chew, talk, and smile without worry. If you have missing teeth, call the office to schedule a consultation, or book an appointment online today. Dentures are removable oral appliances that restore your ability to chew and talk by replacing missing teeth. You can get full dentures to replace an entire set of upper or lower teeth, or partial dentures to replace a few missing teeth. Today’s dentures are more natural-looking than ever, and in some cases, you can get them in a single dental visit so you’re not without teeth while your dentures are being made. Dental implants consist of a surgical screw that Dr. Wu permanently implants into your jawbone that attaches to a custom-made crown. Typically, dental implants replace a single missing tooth between your natural teeth. How long does it take to get used to wearing dentures? 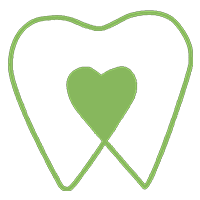 Dr. Wu custom-fits you for dentures so they’re as comfortable as possible, but most people experience an adjustment period, as they are different from your natural teeth. Full dentures can take the longest amount of time to get used to, as they cover your upper and lower teeth. Typically, after a few weeks, you become used to how they feel in your mouth when you talk or chew. Dentures sometimes feel loose at first, but this is only temporary, as your cheek and tongue muscles learn how to keep the dentures in place. Your mouth can feel sore at first, as your gums and soft tissue get used to the new dentures. Follow-up visits with Dr. Wu ensure that your dentures fit and function properly, as she makes adjustments to them as needed so they’re comfortable. You brush your dentures twice a day, just like you would your natural teeth. Depending on if you have removable dentures or fixed implants or dentures, Dr. Wu explains how to care for your new teeth. Brushing and rinsing your dentures keeps your mouth healthy and maintains the appearance and function of your dentures for many years. 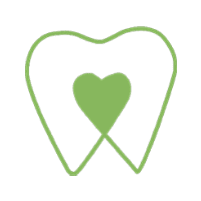 Missing teeth can lead to a variety of dental and health problems, so it’s a good idea to make an appointment with Dr. Wu to discuss replacement options, sooner rather than later. Call the office to schedule or use the online booking tool.